The 3 Series is BMW’s best-selling model, with over 15.5 million units sold since the model was launched in 1975. 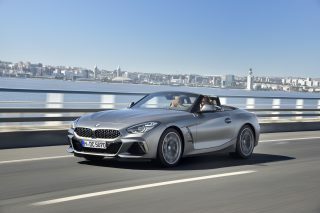 You could say it’s the iconic brand ambassador for the Bavarian automaker’s mantra as the “Ultimate Driving Machine”. But these days, is being a good drive good enough? 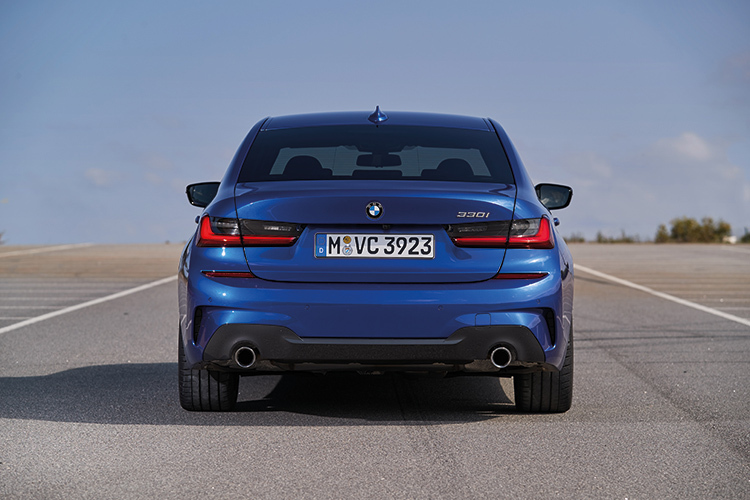 Recently, the 3 Series’ rivals in the junior executive segment have been gaining ground. For example, the Mercedes-Benz C-Class is like a posh little S-Class, Audi’s A4 offers the feel of the larger A6 at an attractive price point, and Jaguar’s XE has established a new benchmark for ride-handling finesse. Against such competitors, can the 3 Series still retain its crown? Cockpit is more high-tech than before and equipped with AI, but the ergonomics could be better. BMW didn’t want to mess too much with a winning formula. 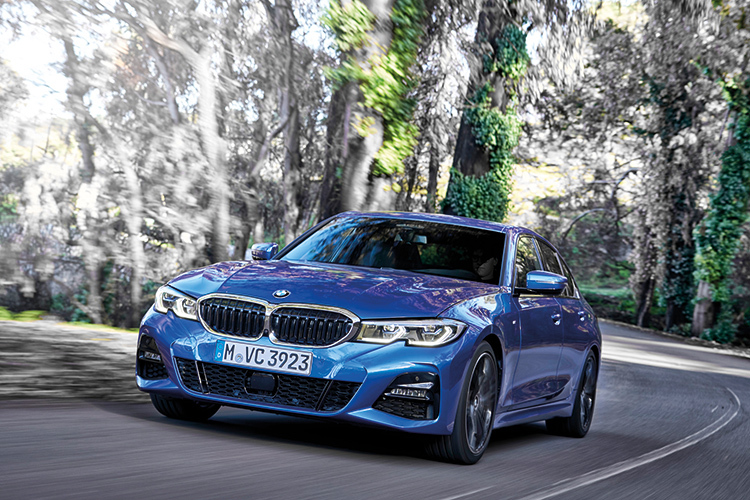 Not surprisingly, the latest G20 3 Series’ styling is more evolutionary than revolutionary. The car has grown bigger. Its overall length of 4709mm is 76mm longer than before. Its wider front and rear tracks also give it a more planted stance. The M Sport variant I drove, with pronounced front bumper intakes, rear apron vents and blue M brake callipers, all add to the 3 Series’ athletic looks. 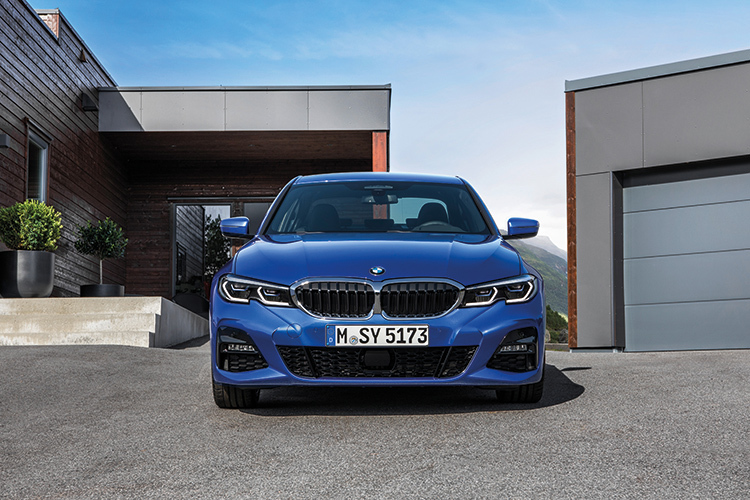 Viewed from the front, BMW’s signature twin-kidney grille is more prominent, and now has active air-flaps and a single-frame design, similar to the grilles on the latest X5 and 8 Series models. The full-LED headlamps, with lower-edge styling curvatures, pay homage to the fourth-generation 3 Series. For better driving dynamics, the G20’s front and rear tracks are wider (by 58mm and 32mm respectively). The 2851mm wheelbase, which is 41mm longer than its predecessor’s, helps improve stability, too. However, despite the car’s larger size and lengthier wheelbase, the interior has not grown noticeably more spacious. The increase in rear legroom is a paltry 11mm, and three adults sitting back here will still feel cosy. 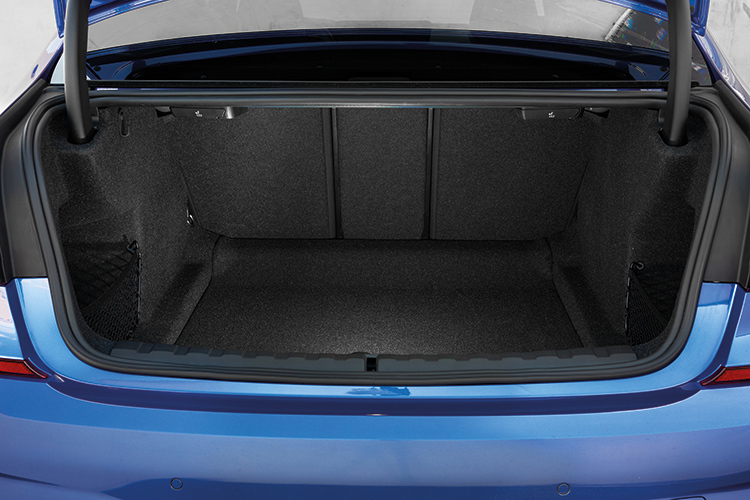 The 480-litre boot is also no bigger than before. So, it looks like the main reason for the new 3 Series’ larger footprint was to heighten its dynamics. And key to the enhanced ride-handling balance is an innovative passive shock absorber technology. 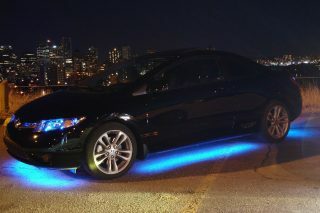 Said technology helps reduce the car’s tendency to “lift” and “squat” when accelerating, and “dive” when braking. The hydraulic shock absorbers also incorporate two-stage bumper stops to cushion occupants against bumps, ruts and other road blemishes. The new 3 Series’ ride is relatively flat and composed. Even on the firmer M Sport suspension fitted to the 330i M Sport, the jiggling over tarmac imperfections was reduced. Previously, buyers who wanted better ride quality (especially if you have sportier low-profile tyres) had to specify the Dynamic Damper Control option. Now, you get the same performance with the new standard suspension. Variable sport steering is also standard on the M Sport version. It is good for quick turns (2.2 turns lock-to-lock) in tight confines, and gets a bit weightier for a more reassuring feel at higher speeds. 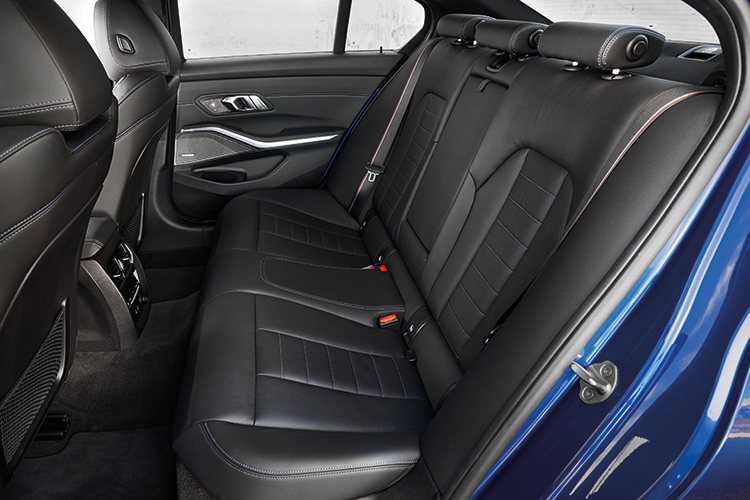 Despite the longer wheelbase, backseat space is pretty similar to the outgoing model’s. That said, the rim of the current M steering wheel is a bit too meaty for my Donald Trump-sized hands. 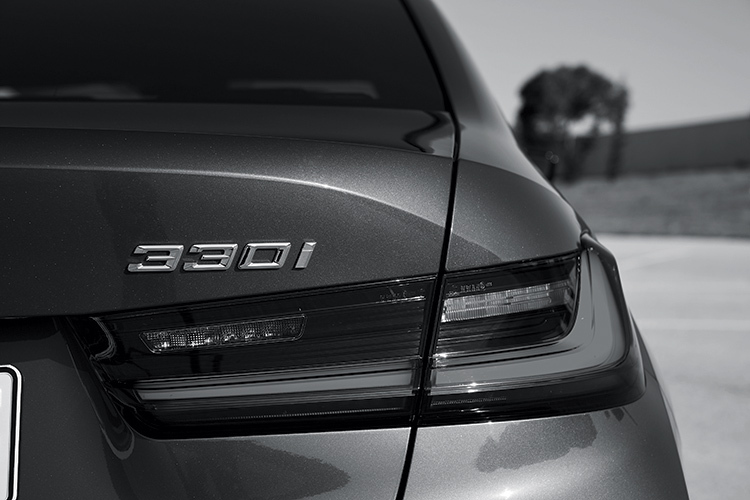 At the heart of the 330i is BMW’s familiar turbocharged 2-litre 4-cylinder that’s mated to a ZF 8-speed automatic. Both engine and gearbox have been tweaked. The powerplant now delivers 258hp and 400Nm, or 6hp and 50Nm more than before. Meanwhile, the smooth-shifting automatic has had its first three forward ratios shortened. However, the new 3 Series has been tuned for livelier starts and better overall driveability, rather than outright acceleration. 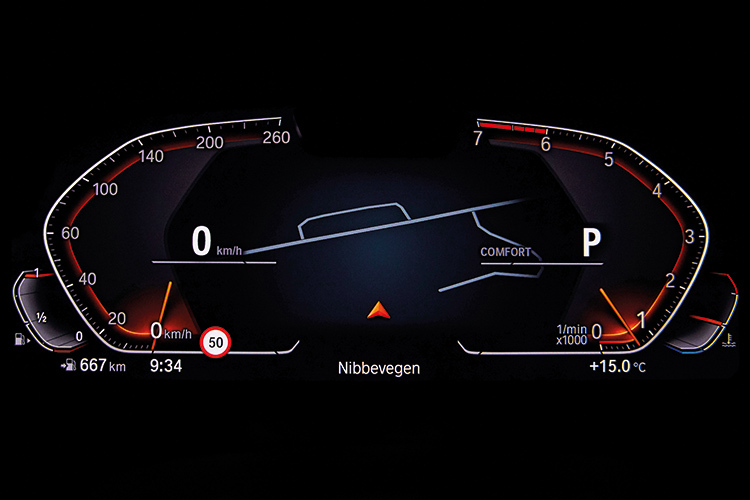 The car’s century sprint time of 5.8 seconds, which is identical to the previous 330i, confirms this. On the Portuguese towns and highway stretches of our test route, acceleration was brisk, especially in Sport mode. More importantly, the 3 Series is an even more engaging drive too. 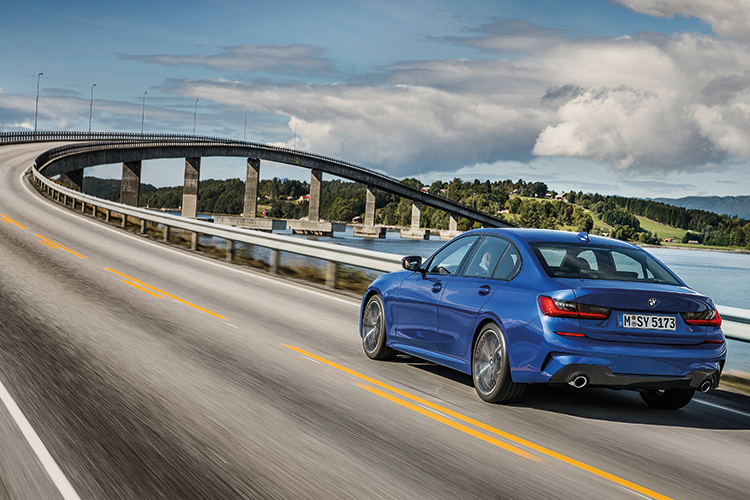 Thanks to a communicative helm, better chassis, 50:50 weight distribution and rear-wheel-drive, the saloon had a neutral and surefooted feel whenever the roads got twisty. 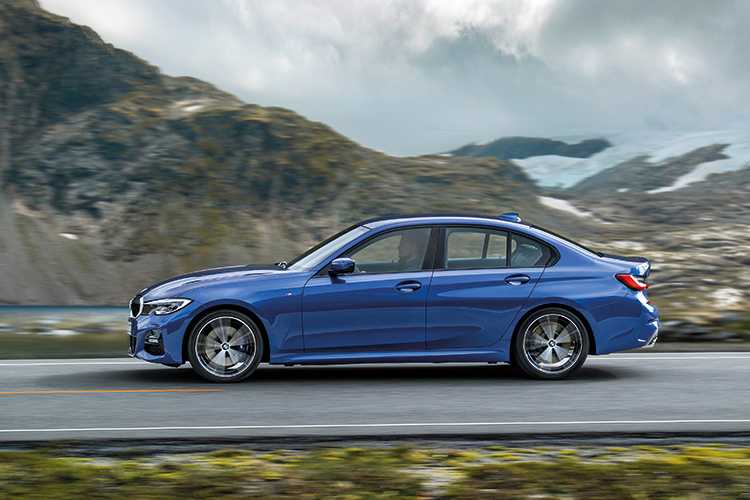 Based on BMW’s latest CLAR (Cluster Architecture Rear-drive) modular platform, the new 3 Series’ body rigidity has increased by up to 50 percent. This heightens the handling dynamics while also reducing NVH (noise, vibration and harshness). The new suspension, wider tracks and longer wheelbase are responsible for the new 3 Series’ sublime handling. With a double-glazed front screen, sound-absorbing A-pillar foam, and optional acoustic glass for the front windows, wind noise and tyre roar at highway speeds are more subdued compared to previous generation models. The improved sound insulation allowed me to better appreciate the 16-speaker Harman Kardon hi-fi system, too. 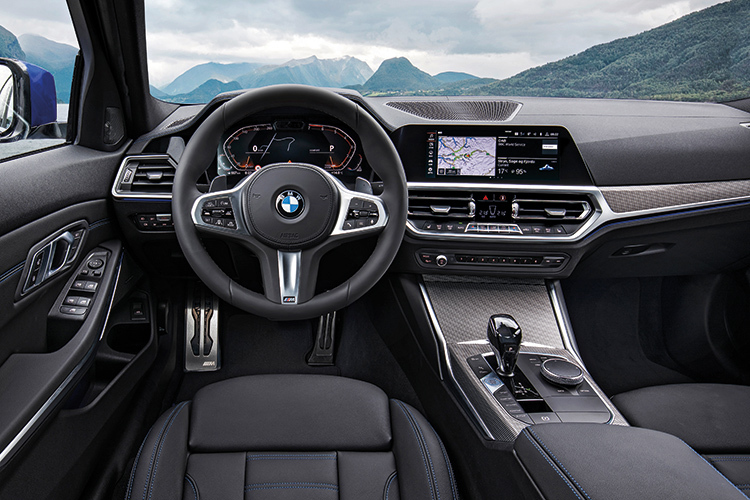 The new 3 Series’ cabin is noticeably posher and more modern, sharing design elements and tech features from the latest X5 SUV, 8 Series Coupe/Convertible, and Z4 roadster. Looking rather futuristic in the 330i is BMW’s Live Cockpit Professional. It is comprised of a large 12.3-inch HD digital instrument cluster that’s paired to a 10.25-inch Control Display. Both components run on BMW’s Operating System 7.0, whose software can be remotely upgraded. That’s convenient. The Control Display is customisable and can be operated via the touchscreen, iDrive controller, steering wheel buttons and Minority Report-style gesture control. The new 3 Series also has Intelligent Digital Assistant, which is activated by saying “Hey BMW”. You can re-programme the activation name if you like. 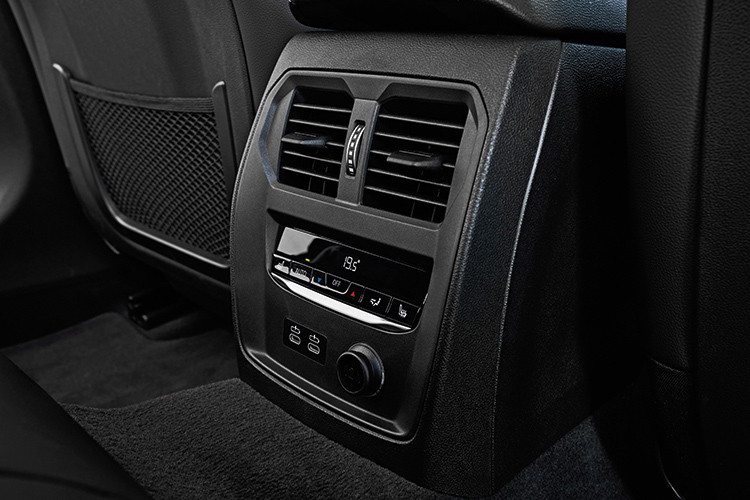 Using voice commands, the system takes you through and lets you configure functions such as navigation, climate control and audio. You can even say, “Hey BMW, I feel tired,” and it will adjust the mood lighting, climate control, and music volume for a three-minute “refresh”, before reverting back to the previous settings. The voice commands didn’t always work at first. But after you’ve built-up a list of “valid commands,” you will have an A.I. experience like no other. Also standard for the 330i is Driving Assistant and Parking Assistant. 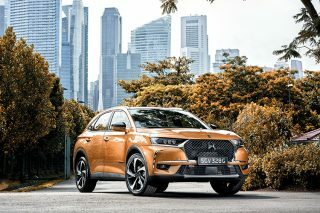 Driving Assistant has safety features such as blind-spot warning, lane-keeping warning, traffic/pedestrian/cyclist warning and front city braking function, rear cross-traffic alert and rear collision prevention. Parking Assistant can parallel park for you. And the feature now includes Reversing Assistant, too. First seen in the new X5, Reversing Assistant allows the car to memorize the last 50 metres of forward travel, such as into a tight carpark. When activated, the function can back the car out the exact same way you drove it in. This is especially useful if it’s too tight to make a three-point turn. For the connected generation, there is wireless charging along with four USB ports (including the latest USB-C connectors). What’s really nifty is the latest Digital Key for the 3 Series. Instead of a key fob, you can now get your smartphone programmed to unlock/lock the car and start/switch off the engine. You can have up to five “key cards”. However, the Digital Key currently only works with Samsung smartphones equipped with NFC (Near Field Communication), such as the Galaxy S7 or newer. All said, the new 3 Series is a vast improvement over the previous model. 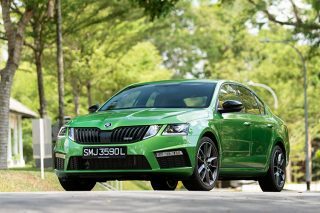 It is also even more compelling thanks to the greater levels of technology, comfort and refinement. And with heightened driving dynamics, the model is truly back on the leader board. 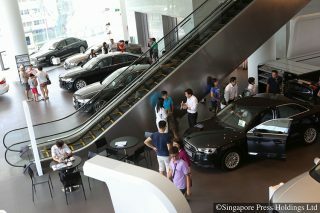 The new 330i, which comes in Luxury and M Sport variants, will be introduced in Singapore in the second quarter of this year. 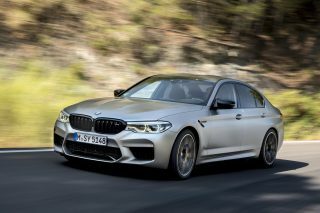 It will be followed by the sportier M340i, eco-friendly 330e and entry-level 320i variants in due course.